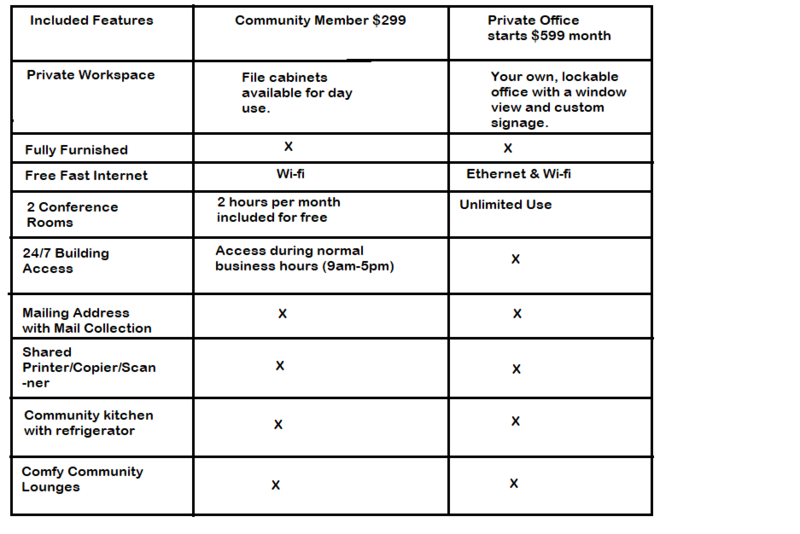 Below is a chart listing the amenities we offer for our different types of memberships and their pricing. If after reading this you are interested in viewing our office spaces we would be more than happy to help you with that. Please feel free to call our office for scheduling a viewing appointment or if you may have any questions.